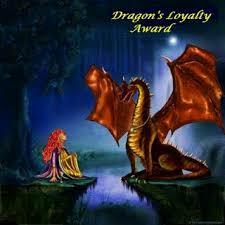 So I’ve been given the Dragon’s Loyalty Award. Go Me! Actually I was given this a while ago but I have only just had the chance to write this up now (please don’t take the award away from me!). 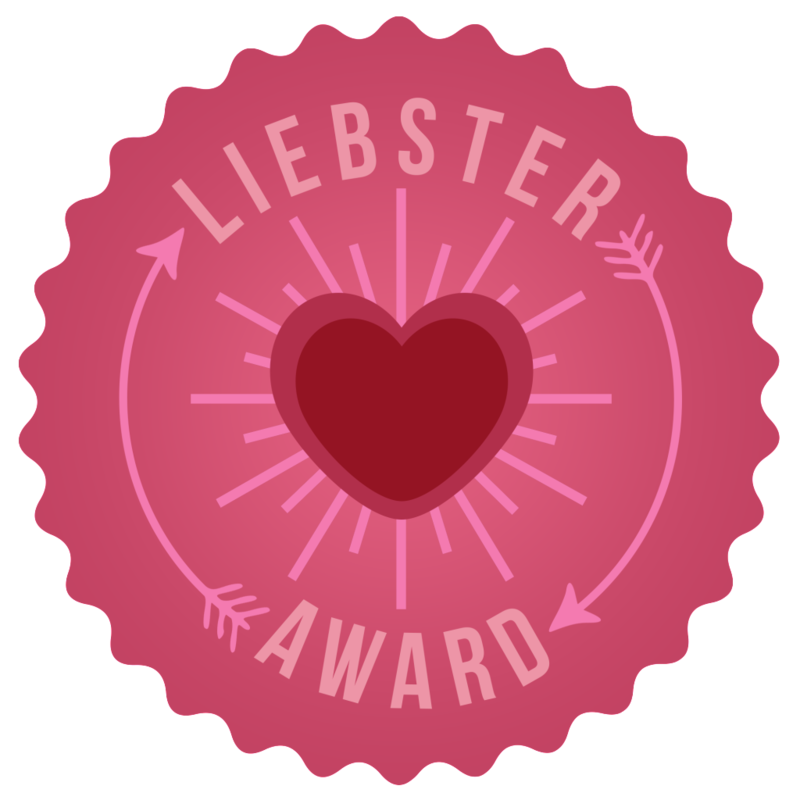 1: Display the Award Certificate on your website. 2: Announce your win with a post and link to whoever presented your award. 3: Present 15 awards to deserving bloggers. 4: Drop them a comment to tip them off after you’ve linked them in the post. 5: Post 7 interesting things about yourself. Thank you very much to MyReelPOV for nominating me again. 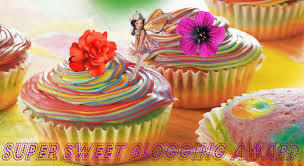 It’s very much appreciated and her blog is always a joy to read so go look at it. The 15 bloggers are as below. 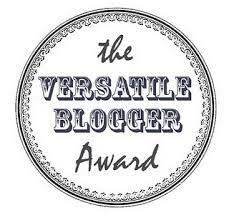 Some of you may have already got this or not want to accept the award but this is just to let you know how awsome your blog is. 1: My favourite place in the world is New York. I’ve been once and would love to go again someday. 2: I studied English Literature and Theatre at University. 4:…But all I’ve got so far is one half completed novel and several first chapters of different stories. 5: I went to Vegas and won $20 dollars on a slot machine-and I was ecstatic! 6: The most famous person I’ve ever met was John Barrowman. I loved The Wizard of Oz film. The music. The colour. Judy Garland. The Wicked Witch of the West. It reminds me of childhood. The scenes where Dorothy leaves Kansas-signified in black and white- and steps out into the Technicolor world of Oz is one of my favourite cinematic moments ever. So it’s fair to say that this prequel had a lot to live up to. Expectations are high all around and with a budget of 200 million dollars this film needs to entice the audience who holds The Wizard of Oz fiercely in their hearts. The story revolves around a con man named Oscar (James Franco), who is a magician in a circus travelling through Kanas. While trying to escape from some people he has wronged he finds himself in a hot air balloon which-due to a tornado-takes him to Oz. There he is believed to be part of a prophecy he will be the powerful wizard who will rule the kingdom and defeat the evil witch. Can this selfish man become a hero? And which witch is the wicked witch? At first Oscar is a difficult man to like, which is kind of the point. It does make it hard in the beginning to warm to the character or care about his journey in Oz. However Oscar (and Franco) soon won me round. This is in part due to Franco’s performance and the camaraderie he has with his new friends. He has good banter with flying monkey Finley (Zach Braff) and China Girl (Joey King). As for the witches poor Mila Kunis is left with an underdeveloped role of Theodora. I didn’t buy her character’s transformation from naive but good hearted girl; to full on wickedness. She also isn’t scary like the original character was which is shame as Kunis is a capable actress and deserves more to work with. The other two witches Glinda (Michelle Williams) and Endora (Rachel Weisz) fare better. Weisz seems to relish the chance to go full on evil, while Williams manages to ground a character that is basically pure goodness personified. She comes across noble and brave without crossing over into bland or boring. She also has a nice, gentle chemistry with Franco. There are some nice nods to the original film (such as having Kanas shot in black and white). It’s a treat for fans to spot the references without getting distracted from the plot. It may not be at the same level as the original film and (like most films these days) feels too long and drags in some scenes. Rating 3/5-It may not be a classic but it’s a thoroughly enjoyable prequel. Which is more than I could have hoped for. It’s done. Thank God! I didn’t realise quite how difficult I would find it going without sleep for 24 hours, especially as I didn’t get as much sleep as I wanted before the event itself. During the 24 hours I must watch at least 12 films (full list to be posted soon). Done in fact I did 13! I must not fall asleep while watching the films Done-i don’t know how but done! After the challenge is over (and I have a few hours’ sleep) I must write-up the events of my challenge on my blog www.mykindofmovie.wordpress.com by 1pm on Friday 15th March. Here is where I slipped up. I thought I set my alarm but apart from briefly waking up at 8 and then falling straight back to sleep I slept til 3:10pm! So I failed one of the rules, what does this mean. Well I’ve decided that I will donate £10 to Comic Relief. I’ve already reached my fundraising target so this will be a nice extra on top. I wrote a lot of notes during my challenge about each film I watched just to help me stay awake. At lot of it is a incoherent mess. The rest is me moaning about how I wish I could go to sleep. I’m also still extremely tired. So what I’ll do is go through my notes and write about the films later this week. But right now, I need to crash! Thank you to those who have supported me during this challenge, it’s what I needed to keep going! And thanks to those who sponsored me too, it’s very much appreciated. Here is my list of films I’ll be watching for my 24 hour film challenge tomorrow. I’m not sure of the order I’ll be watching them yet (probably depend on my mood) but below is the list in alphabetical order. My maths isn’t brilliant so I’ll may need to add a film or two onto the list on the day. Not long now. Less than 12 hours to go! On 14/03/13 I’ll be doing a 24 hour film fest of the funniest films around. But will I still be laughing after 24 hours with no sleep? So why am I doing this? Well the 15/03/2013 is Comic Relief (aka Red Nose Day) where people do something funny for money and the proceeds go to charity in Africa and in the UK. Now I don’t have many skills to raise money for charity. I can’t cook, so a bake sale would be no good. I am incredibly unfit so an athletic challenge would be a disaster. So I thought I’d play to my strengths and do what I know I can do best-watch movies! To make it a bit more difficult I thought I’d do a 24 hour challenge. During the 24 hours I must watch at least 12 films (full list to be posted soon). After the challenge is over (and I have a few hours’ sleep) I must write up the events of my challenge on my blog www.mykindofmovie.wordpress.com by 1pm on Friday 15th March. If anyone is interested in knowing more about red nose day or to see how much I’ve raised please check out my site. No one is under any obligation to sponsor me but if you’d like to read what I thought of it all and how well I survive with no sleep (seriously I’m terrible if I don’t get my full eight hours) then please read my blog or go on to the site above. If anyone is interested in knowing more about Red Nose Day then visit the website. Mama is a story about two young children, Victoria and Lily, whose father kills his wife and takes his children to the woods intending to kill them too. The father is soon dispatched and the girls are left in the care of a mysterious figure known only as Mama. 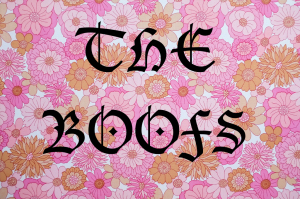 Five years later the girls are found in a feral state and left in the care of their uncle Lucas (Nikolaj Coster-Waldau) and his girlfriend Annabel (Jessica Chastain). Unfortunately Mama doesn’t want to let go of the children. This is an uneven film. The first half is great. Mama is scary when we don’t get to see her properly and the children, especially Lily are a bit creepy too. Chastain is strong as Annabel, as we see her slowly develop a relationship with the two girls and she starts to really love them as her own. Both the children, Megan Charpentier as the more aware oldest child Victoria and Isabelle Nélisse as the more animal like Lilly, are fantastic. Not annoying like a lot of child actors. But the film starts going downhill as soon as we fully see Mama. She was much scarier when it was just shadows and blurry images. Unfortunately she is revealed too early and just isn’t frightening, which undercuts the rest of the films scenes. There are some scenes where she is just laugh out loud funny-which is not a good reaction to your film’s big bad. Its par for the course for horror films to have its characters do incredibly stupid things just to get some scares. For example one character-having learned the truth about Mama-decides to go alone to the abandoned cabin where the girls were found to confront Mama. This doesn’t end well and unfortunately there are plenty of characters that make other stupid decisions that really start to grate after a while. However while this is far from a perfect film Mama does give us some good jump scares. It also provides us with a lovely emotional element. Too often horror films concentrate on the gore and the villain and forget about make their protagonists someone to cheer for instead of just being body parts for the baddie to chop up. At least with Mama it gives us characters to care about and hope they can make it as a family. Of course whether they do or not I can’t reveal here. Although the scares wear off after the first half I do appreciate a horror film that made me care for the characters as much as this one.